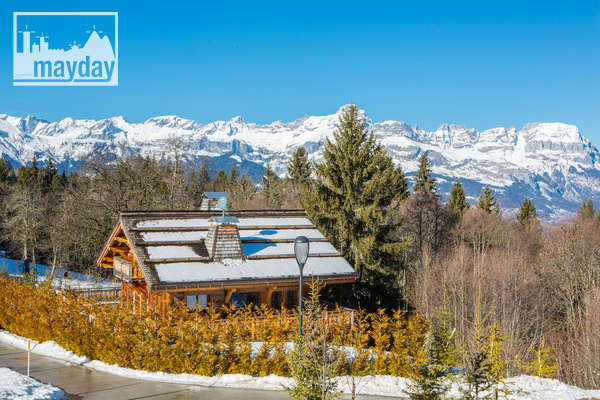 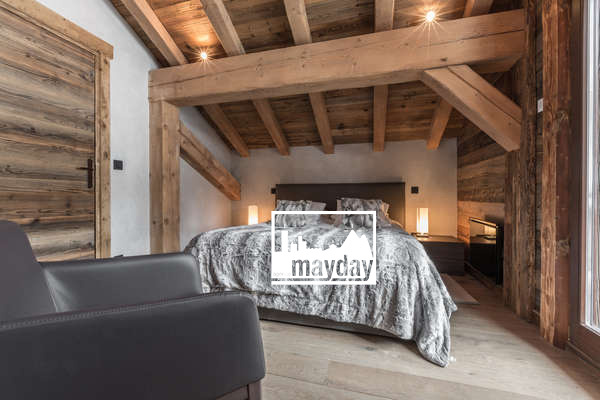 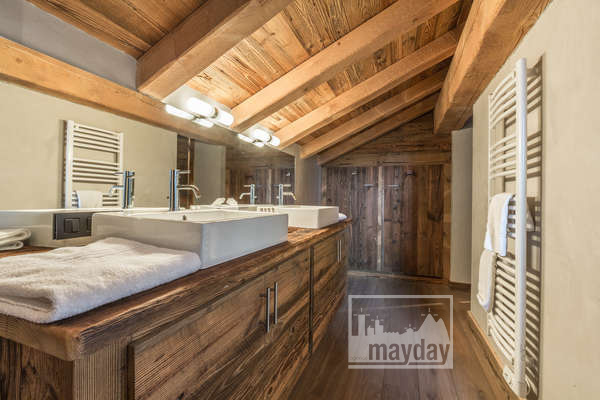 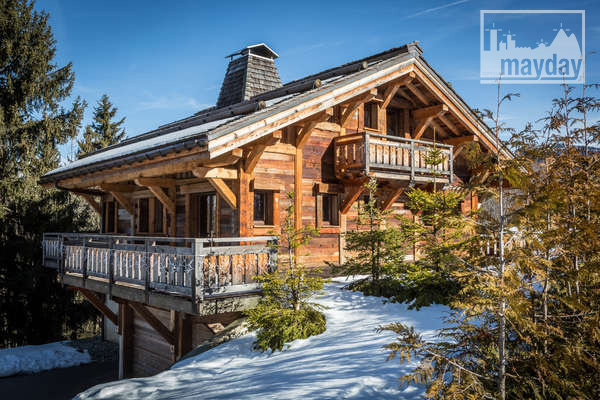 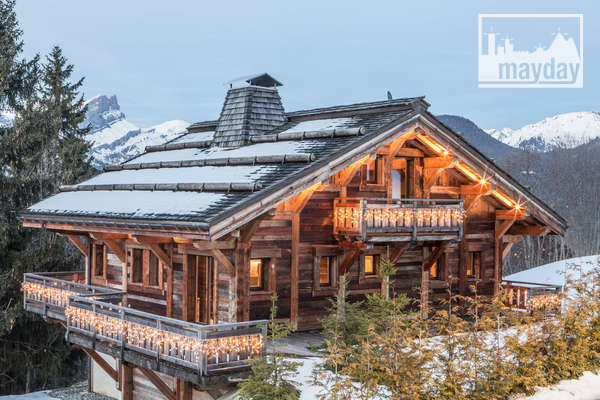 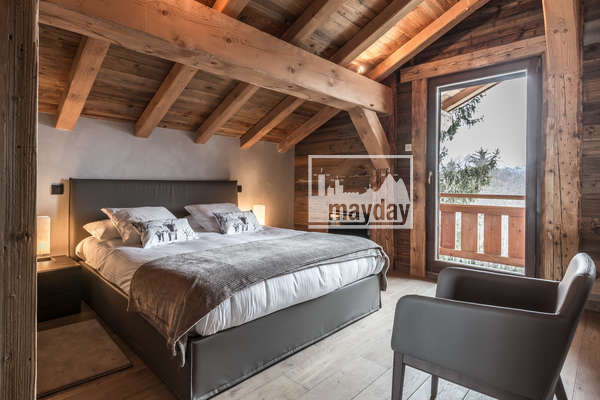 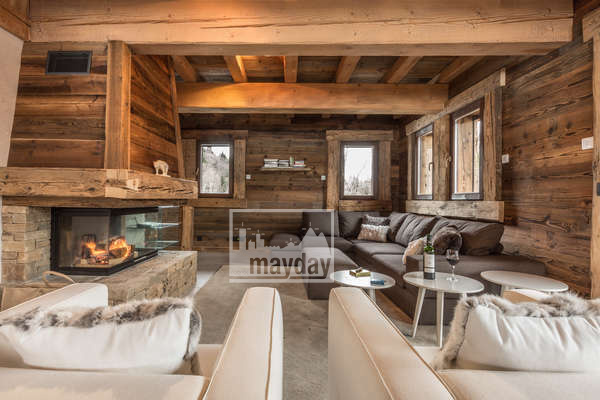 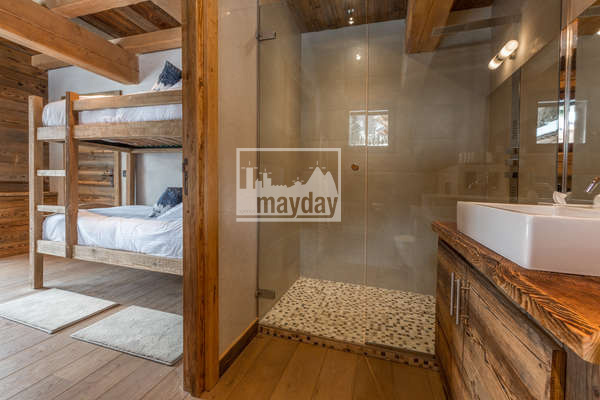 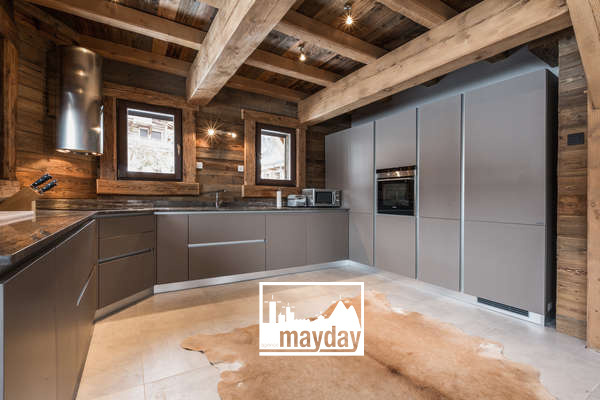 The “ginger” chalet, Mont-Blanc (clav1001) | Agence Mayday, scouting agency | Best location for your project concerning : feature films, TV, commercials, promos, photo shoot & events. 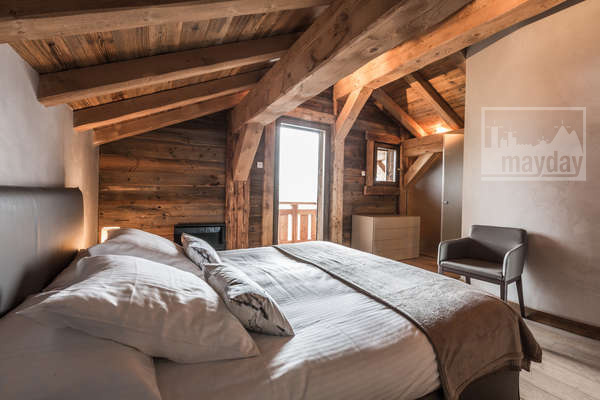 Traditional moutain chalet, perfect mixt between modernity and authenticity : wooden beams, stones, bow windows. 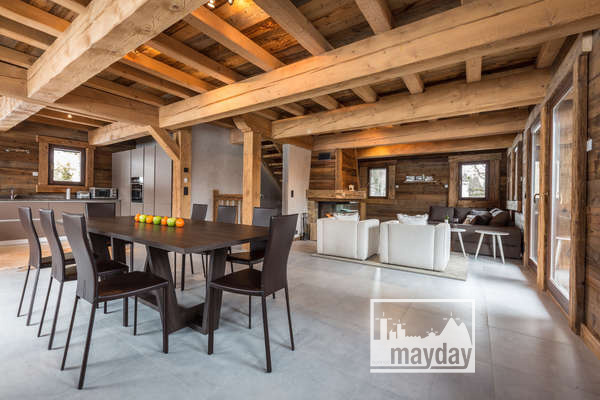 230 sqm haven of peace spread over 3 floors, large main open room (kitchen, living room and dinin room) plus 4 bedrooms. 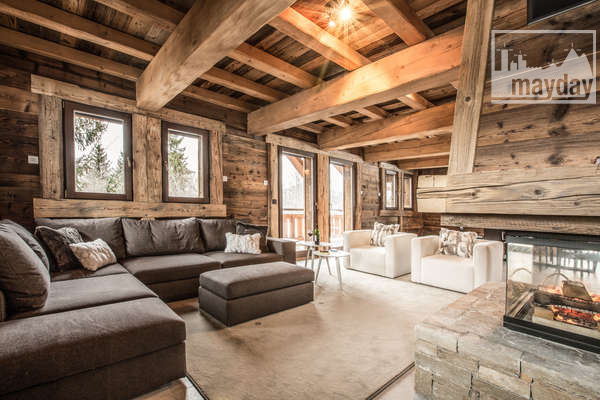 The fireplace, beautiful volumes, brightness offer serenity and wellness to the visitor.